Network robustness plays an important role in biological, social, and technological systems whose dynamics are influenced by the network structure. The most common robustness measure is given by the inverse percolation method which considers a critical fractional threshold of node or link failure for a given network. In most cases, such measure is either impractical if not possible.Here, we propose a measure of robustness based on more practically measurable quantities: network load and link capacity. As most common measures of robustness assumes that the network activity is random, the choice of the type of randomness is crucial for the accuracy of such measure. We then investigate the effect of burstiness to the proposed measure of robustness and discuss the implications in real-life situations minimizing network failure and even market dynamics such as utility costing. K. J. Urog and J. Bantang. 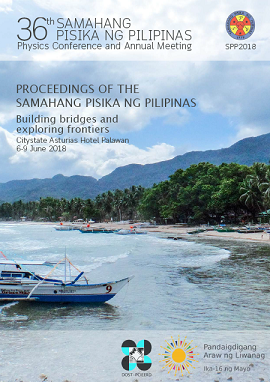 Network robustness on bursty loads, Proceedings of the Samahang Pisika ng Pilipinas 36, SPP-2018-3D-06 (2018). URL: https://paperview.spp-online.org/proceedings/article/view/SPP-2018-3D-06.